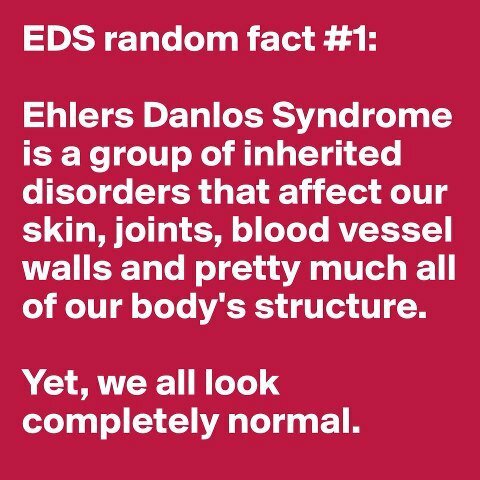 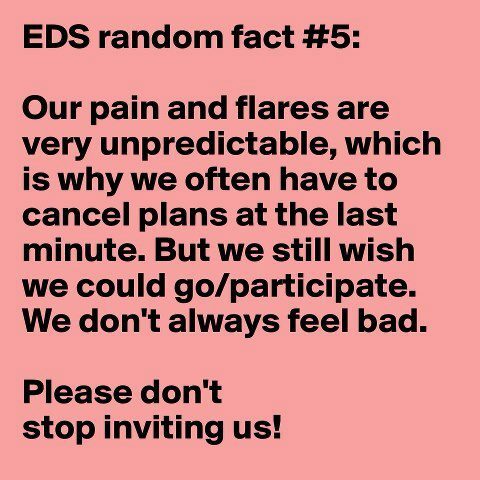 As the title of this post indicates, May is Ehlers-Danlos Syndrome (EDS) Awareness month. 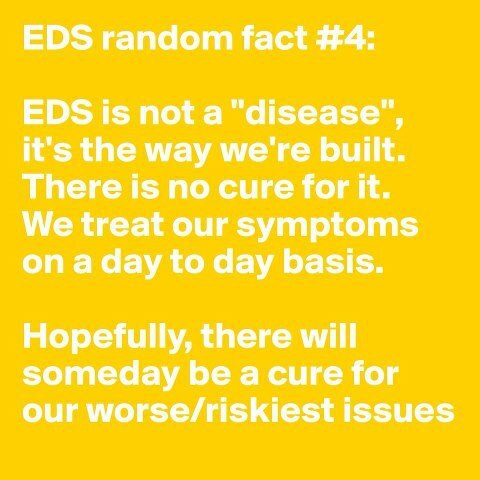 EDS is a rare disorder and a result finding doctors that will treat us with dignity is half the battle. 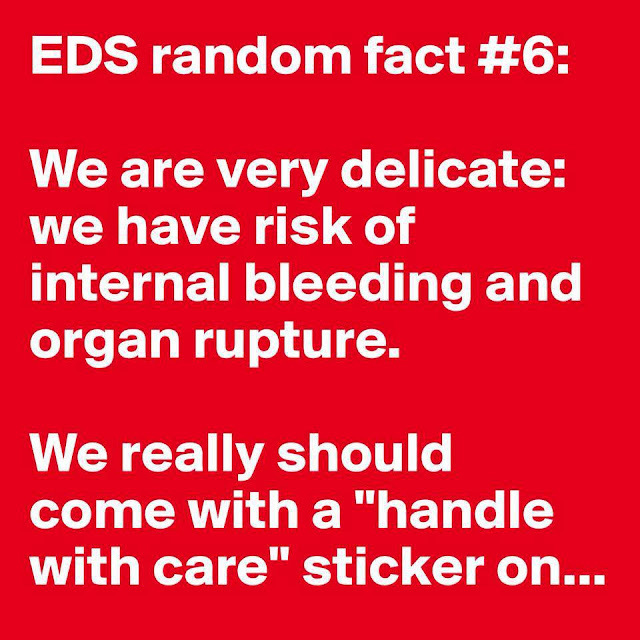 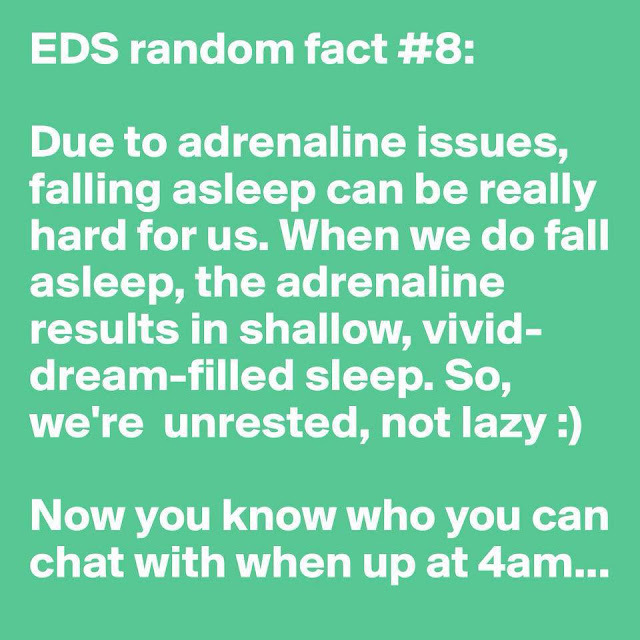 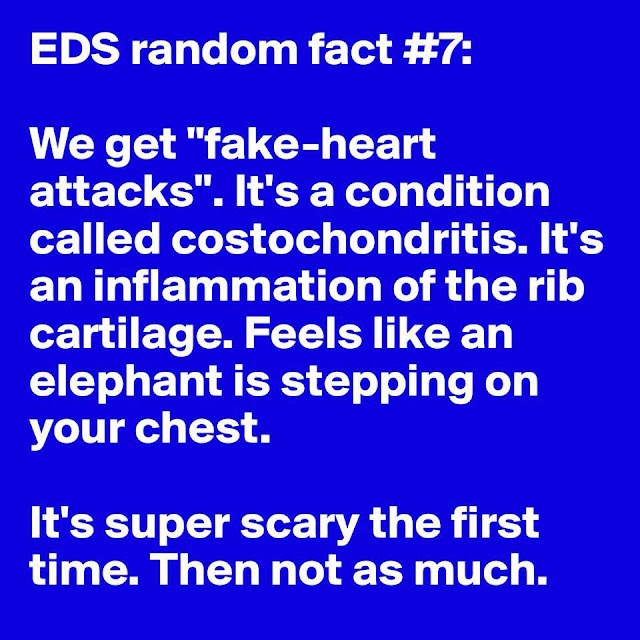 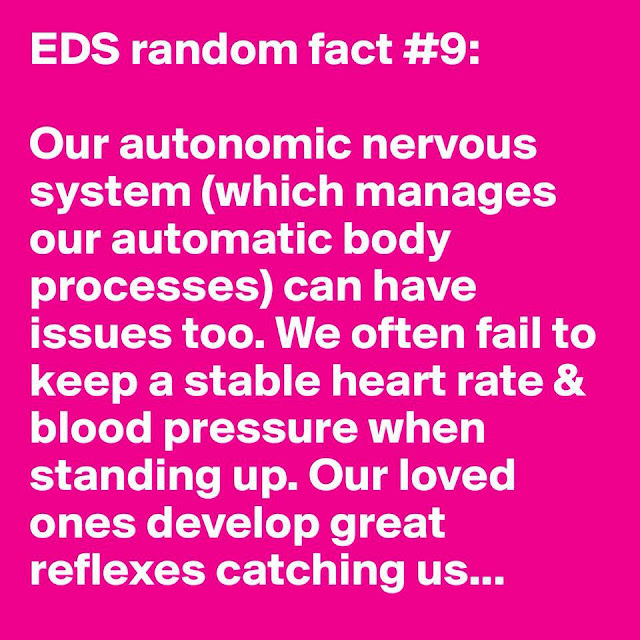 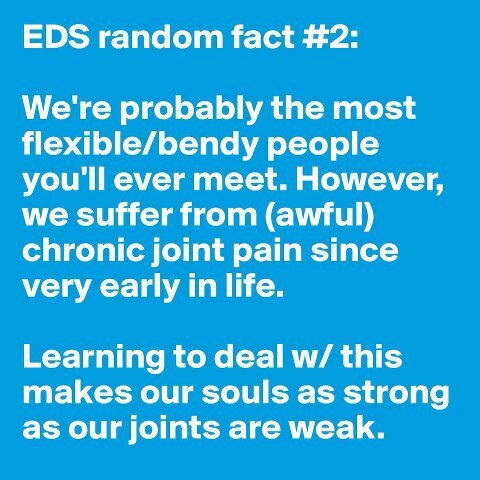 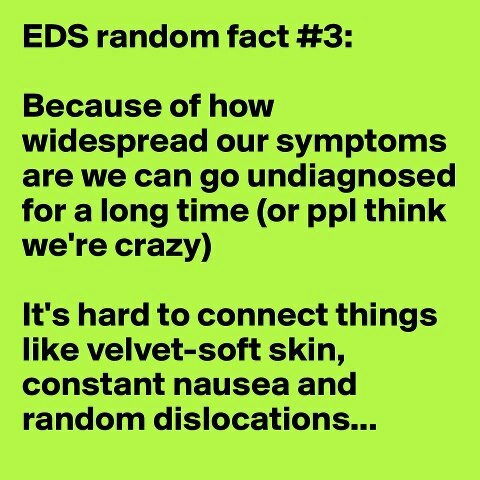 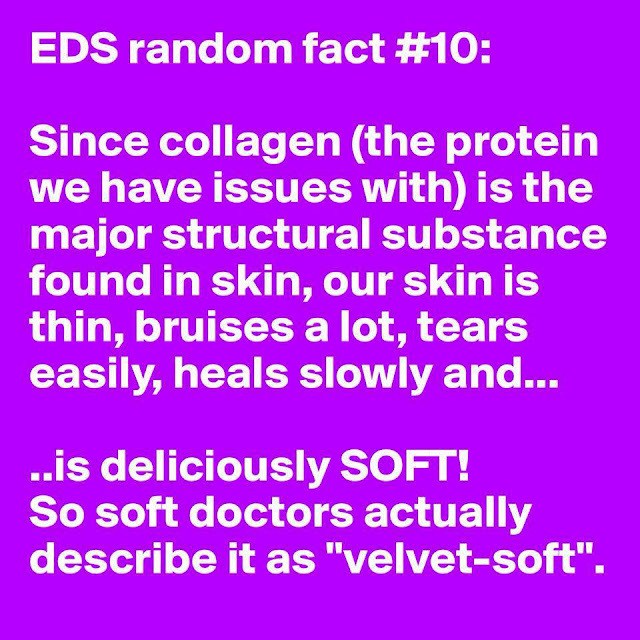 As I'm just warming you all up to EDS and have yet to tell the story of my own EDS journey, I'm posting the daily factoids for EDS awareness month and will then touch on how each of these factoids affect me in a separate post about my own personal journey. Today's post includes the first 10 but there will be more posts as there is a factoid for every day in the month of May.